Boasts 28 Highway MPG and 19 City MPG! This Honda Odyssey delivers a Regular Unleaded V-6 3.5 L/212 engine powering this Automatic transmission. 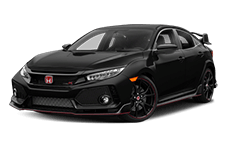 Wheels: 18" Machine-Finished Alloy -inc: dark gray insert, VSA Electronic Stability Control (ESC), Vinyl Door Trim Insert. Treat yourself- stop by Brandon Honda located at 9209 Adamo Drive Eas, Tampa, FL 33619 to make this car yours today!